We’ve been playing mind games since grade school. Our teachers used to give puzzles to break the monotony, while at the same time, learning our lessons from Math, Science, English, etc. Educators know well how mind games are so good when used as a teaching aid. They’re challenging, fun, and worthwhile learning experiences. That’s where the idea, “Kids learn when they’re having fun,” comes from. In fact, this was the same idea behind the world’s most popular mind games like the crossword puzzle, scrabble, and Sudoku. They’re popularity reaches as far as the civilized world across different countries can get, and they are currently played by millions of people, children and grown-ups alike. They can become a very addictive habit once you get the hang of it. Crossword puzzles come in different forms and style depending on their country of origin. But despite their slight variations in format, they still share the same principle. The game is won by filling out all the empty boxes to form words, morphemes, acronyms, etc which can be read down and across. Clues are given as to what should be the correct answer for numbered boxes. It’s more of a memory/vocabulary game. The wider your scope of knowledge and vocabulary is, the better you are with this game. U.S. and other countries hold annual crossword puzzle competitions for compilers (creators of crossword puzzles) and solvers with cash prizes at stake. 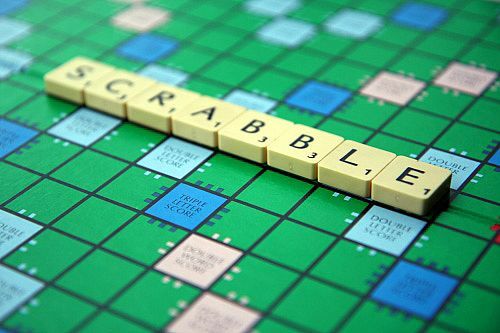 Scrabble is kind of like the crossword puzzle except that it is played on the board (15 by 15 grid) by 2-4 players using wooden or plastic tiles to form words from a standard dictionary. In some cases, proper nouns and other expressions are also allowed. The game uses a combination of strategy, word skill, and a bit of luck. Players compete for the highest cumulative score. Each tile (A-Z) has numerical value (1-10), the sum of which is recorded for every turn. If words land on specially marked squares, the score can be doubled or tripled, etc. Scrabble is very much popular, they can be found in almost every home in the U.S. If words can be played for fun, so does numbers. Magic squares or Latin squares have long been played as a game of mathematical and logical skill. That’s where Sudoku got its origins. Numbers from 1-9 is used for every set of “magic squares” consisting of 3 by 3 squares, each number used only once for every set. Some of the numbers are already in their predetermined squares and it’s up to the player to figure out what numbers should be filled in so that their sum (across, down, and diagonal) are the same. Mind games are known to delay, or even reverse the natural aging process of our brain. Like any part of our body, our brain needs to be constantly active if it is to function well for many years. It follows the same “use it or lose it” principle. Fortunately, mind games help us with this principle without resorting to boredom. Straight to the point, i love it.